FRESNO, CA. (THECOUNT) — Fresno police have named the two victims shot and killed at a Fresno tattoo parlor Saturday night, as Pisa Xayapheth and Jesse Hernandez III. 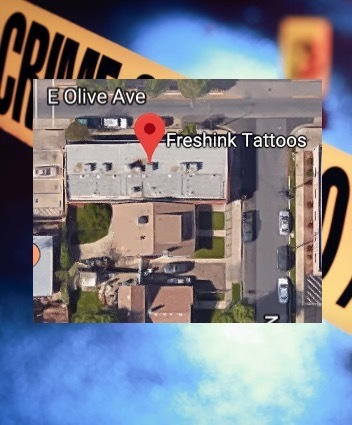 Hernandez, 35, and Xayapheth, 30, were identified as the shooting victims after gunfire erupted at Freshink Tattoos, located at 564 E Olive Ave, Fresno, CA, in Fresno’s Tower District. Police say they are hunting for the suspect they named as 27-year-old Cruz Pedro Hinojosa. Police say the shooting doesn’t appear to be gang-related and believe it was more if a “personal matter”, but they’re not releasing an exact motive.